The ancient art of alchemy is full of symbols that largely influenced the practice throughout time. In order to disguise themselves from the prominent churches, alchemists journeyed down the scientific route and avoided charges of heresy. Alchemy was thought to be heretical in that it allowed practitioners to avoid traditionally accepted religious methods of protection and redemption. At this time, heretical charges would often end in execution, making the protection of the art much more important. Therein became the base of alchemical studies, promoting the exploration of inner transformation and personal spirituality beyond the realm of God. Alchemists called upon techniques far beyond those traditional of the church. They invoked such procedures as the transformation of matter in conjunction with philosophical meanings. Below are a few of the most common symbols used in ancient alchemy and their respective purposes. 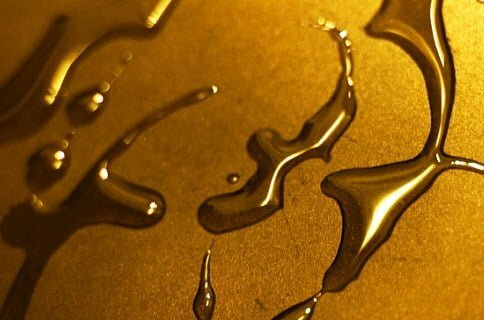 Gold has been one of the most important alchemical symbols throughout time. It is worshipped and revered across many cultures, where it symbolizes life, strength, energy, and force. In ancient Egypt, the sun god was personified specifically by the setting sun, representing the potential for creative processes throughout the day. For alchemists, the sun stood for the process of creation due to its size, cyclical nature, and association with fire. They used the sun to focus on creating desirable effects throughout their various practices, both physically and philosophically. In several cultures across the East, the cube symbolizes Earth. It is a supernatural shape that symbolizes another crucial building bock of matter. This makes sense, as it is a vital symbol across several realms of mathematics. Specifically, the Egyptians associated the cube with pharaohs, the rulers of the nation. In India, the multitude of deities are depicted in many artistic forms as standing upon two cubes, one under each foot. In these places, it is thought of as being symbolic of royalty. Abracadabra is an ancient alchemical charm crediting its origins to the Hebrew religion – it gets its name from the initials of the Father, Son, and Holy Spirit. Although the phrase is now associated with instantaneous magic, it was originally used as an antidote for healing illnesses. During the healing ritual, “abracadabra” was written on a piece of parchment and then hung from the neck in a triangular shape. This was meant to speed up the healing process and promote a quick recovery for the patient. One of the most important and widely utilized ancient symbols in alchemy is the element of fire. In this realm, it is representative of the ultimate energy. Additionally, fire symbolizes the purification of all things, especially the soul. When we call upon fire and its properties, we are enabling ourselves to experience major revelations and transform ourselves spiritually. Ergon, an image of an eye holding the Earth, is an ancient spiritual symbol in alchemy for the eye of the soul. This eye looks deep into eternity, providing practitioners with guidance toward the correct path. As a symbol of this, the ergon promotes deep and intuitive vision and reminds us of the infinite and ever-evolving nature of our souls. By calling upon this symbol alchemists and laymen alike are enabled to tune themselves in with the universe. Caduceus, a symbol of Mercury, is a figure depicting two serpents wrapped around a central rod that represents the transformation of alchemical power. The serpents wrapping around the rod symbolize the duality in all of life. Together, the emblems denote the necessity for balance in all alchemical processes. Today, the Caduceus is also used in the medical community as a symbol for dedication to healing. The great light of the brightly shining full moon is another major symbol in the alchemical realm, specifically when concerning its illuminating qualities. These traits create a contrasting effect with the darkness that surrounds it during the night and make the moon the natural counterpart of the sun. In addition to representing the elements silver and mercury, the moon is highly symbolic of fertility, as it has many feminine characteristics. As a signifier of the cyclical nature of the world, specifically with night and day, the moon symbolizes immortality and resurrection of all that is lost.